The field of robotics stretches far beyond the lair of the Emperor Penguin. 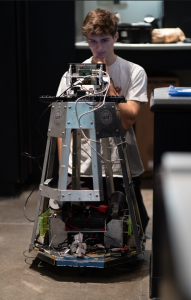 Roboticists utilize emerging technologies such as artificial intelligence and machine learning to create smart robots that provide companionship to the elderly, help with search and rescue, crawl into small spaces, fix airplane engines, cook your food, entertain humans with their acrobatics and move potted plants in and out of the sun. 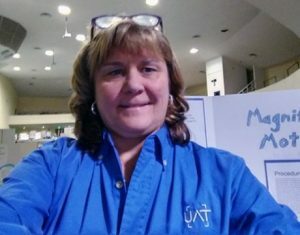 “Robotics is hardware, but it’s also software, embedded systems programming, problem solving, design and debugging multiple iterations,” said Dr. Jill Coddington, Program Champion of Robotics & Embedded Systems, Advancing Computer Science, Artificial Intelligence and Web Design, of the University of Advancing Technology (UAT). “The definition of a robot, and what robotics encompasses, is huge. 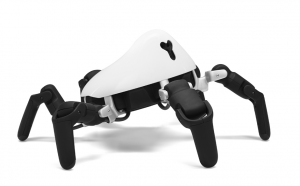 Your little autonomous vacuum that runs around your house and vacuums for you is a robot. A slot machine is a robot. The field of robotics is expanding so much, it covers more than it ever before,” Dr. Coddington said. What the field lacks is the talent to support its exponential growth. According to Sokanu, the robotics engineer job market is expected to increase by 6.4 percent between 2016 and 2026. And over the next 10 years, the U.S. alone will need 12,500 engineers in the field. “The demand for automation and robotics will continue to fuel these high paying jobs, and we expect this to continue for the next 20 years,” Coddington said. Coddington said the type of person usually drawn to the field of robotics is a detail-oriented problem solver who is good at design and iteration and likes to tinker. If you think about it, every robot needs to be programmed, and every robot needs someone to maintain, care, iterate, build and design them. According to the U.S. Bureau of Labor Statistics, a robotics engineer with a Bachelor of Science degree earns an average of more than $81,000 per year, and a robotics technician with an associate degree earns an average of $60,000 per year. Having experience in the field of robotics or at a manufacturing company can elevate your opportunities for positions, and the skillsets easily transfer from one employer to the next. Coddington also debunked the notion that robots will take all of our jobs. “The robotics industry has found that robots may replace some jobs, but they are mostly manual, dangerous or super high heat jobs. And we’re finding that the jobs we are gaining are the managers of the of the robots, where you care for or fix the robot. We’re getting higher paid jobs because of the robots,” Coddington said. Taking the leap to enter the field of robotics takes curiosity, initiative and passion. “The sky isn’t even the limit. We use robots to fix our satellites and explore the deep sea. Robots are becoming more pervasive in our lives. We’re going to see more and more robots all the time." UAT offers online and in-person Robotics and Embedded Systems degree classes that teach you real-world skills needed for a position in the robotics field from day one. Students need little to no knowledge in robotics to start their education and will gain hands-on exposure to the latest technologies used in the current job market. If you’re curious about programming, electrical engineering, digital maker or fabrication, UAT will help you take your skills set to the next level. You can learn more about earning your Robotics and Embedded Systems degree at UAT here.